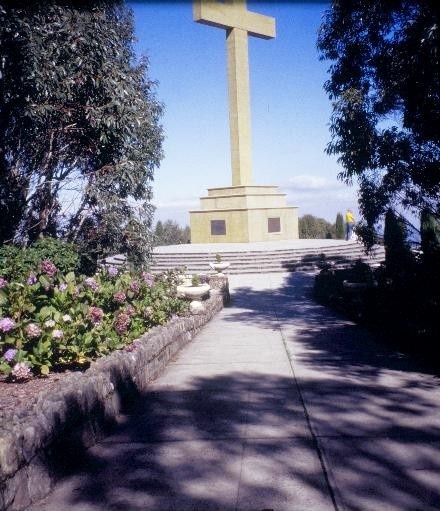 The Cameron Memorial Cross, Mount Macedon, donated by William Cameron, was dedicated in 1935 to the Australian service people who have been killed in the First World War. 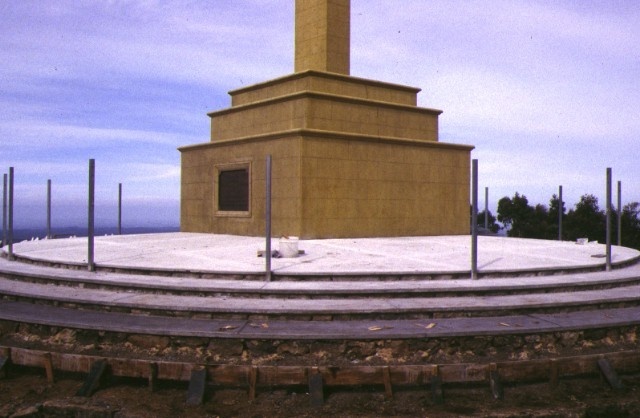 Constructed of Wunderlich terra cotta tiles on a steel base, it has withstood lightning strikes and bushfires. 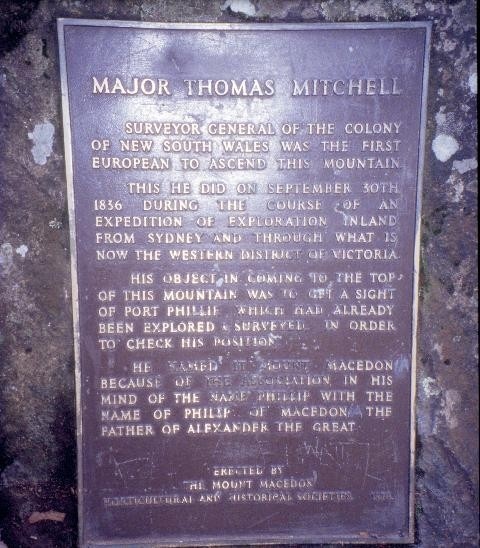 The Cameron Memorial Cross is significant to the State of Victoria for historic, social and aesthetic reasons. 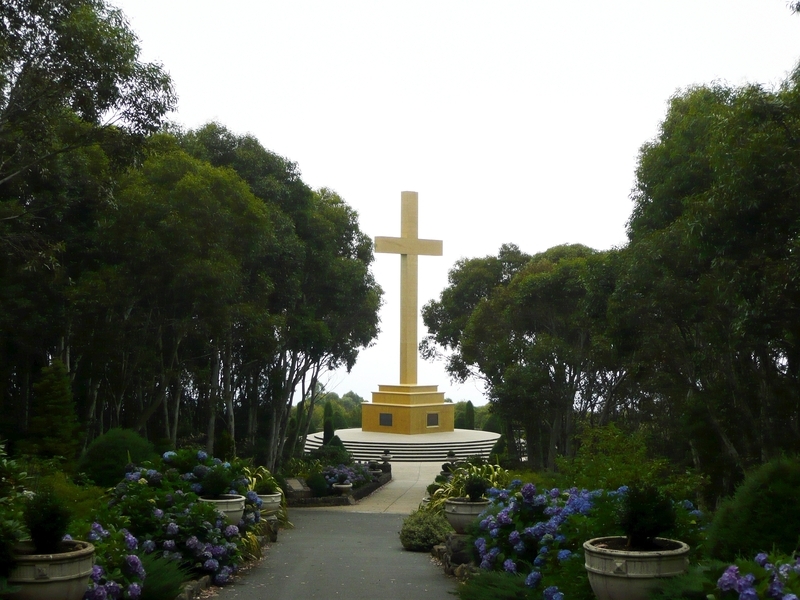 The Cameron memorial cross is important for reasons of spiritual, symbolic cultural and social reasons as a memorial for those who lost their lives in the First World War, and became for many a symbol of courage and survival after the 1983 Ash Wednesday bushfires. 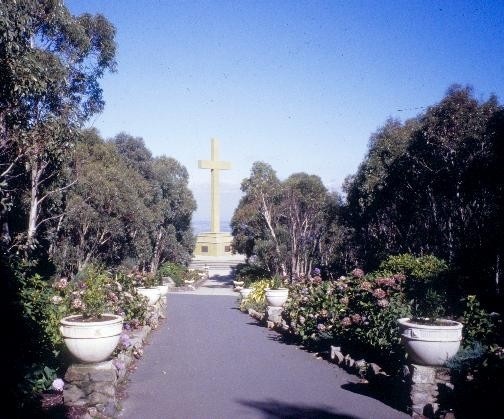 The custom or function of commemorating the war dead is observed at a dawn service held at the base of the cross annually. 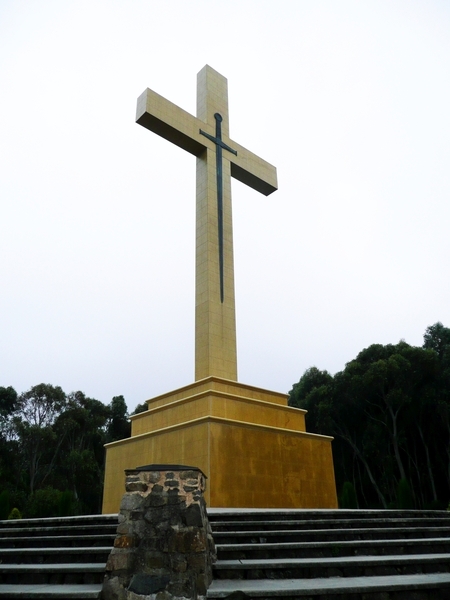 The size, simplicity of the design of the Cameron Memorial Cross, along with its siting on mount Macedon, is a rare example of a memorial commemorating those who died in the First World War. 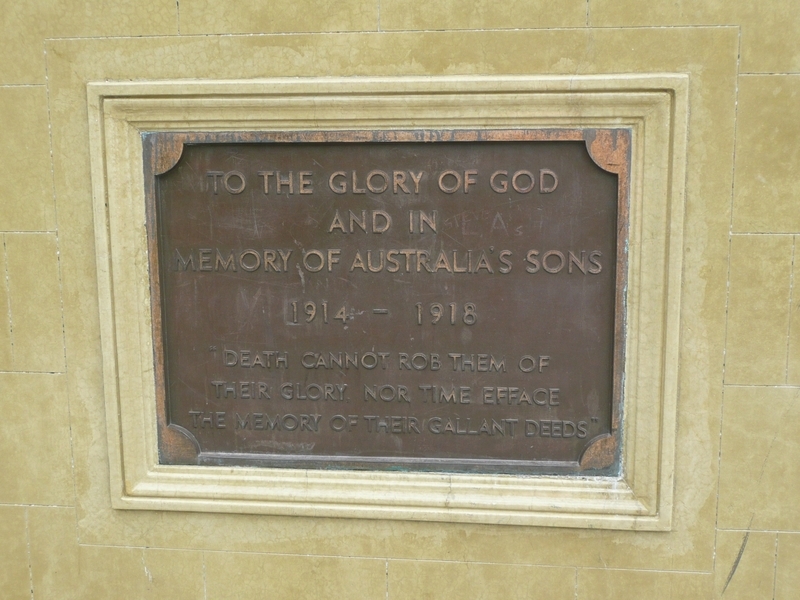 It is able to demonstrate an association with important events in Victoria’s history, the First World War, and it demonstrates the use of particular material in the form of Wunderlich tiles which, because of their reflective nature, are able to enhance the simplicity and symbolism of the cross, and enable it to be viewed from considerable distances. Under section 14 of the Historic Buildings Act 1981 the Governor in Council amends the Register by adding Historic Building No. 1027. 1. 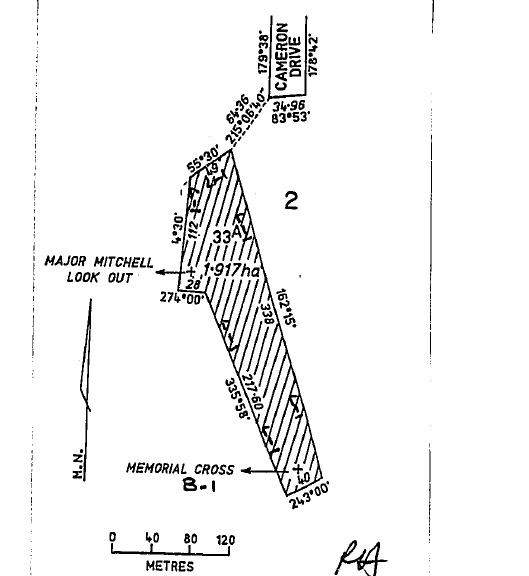 All of the structures and works known as the Cameron Memorial Cross, including the cross, base, surrounds, pathways and retaining walls marked B-1 on Plan 605749, signed by the Chairperson, Historic Buildings Council,and held by the Director, Historic Buildings Council. 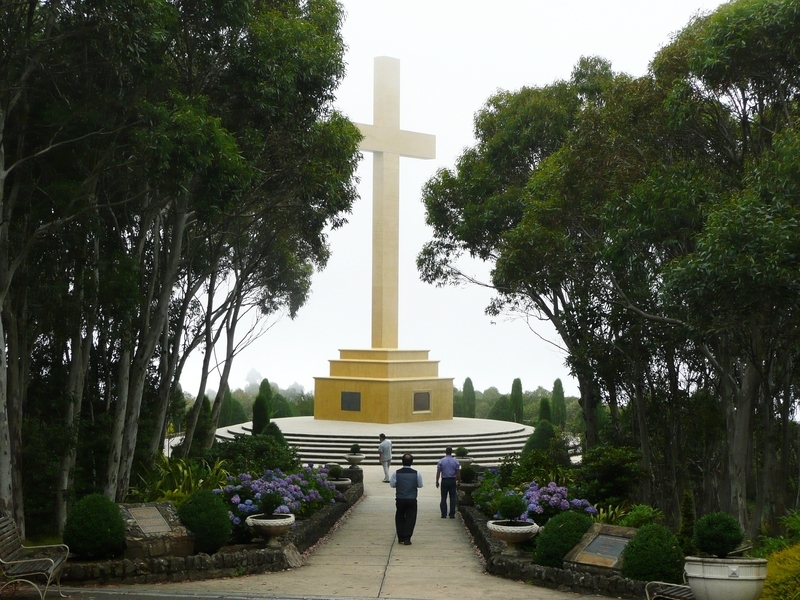 The original Cross has been replaced - courtesy of the Grollo family to the Australian public.